pairSIM is a software installation manager that makes downloading and managing popular software easy. You can use pairSIM to install WordPress, a powerful content management system (CMS) made for website and blog building. Just follow these simple steps to install WordPress using pairSIM. Blog Title: Enter the title of the blog here. URL: Select the domain name from the drop-down and enter the desired extension in the box. 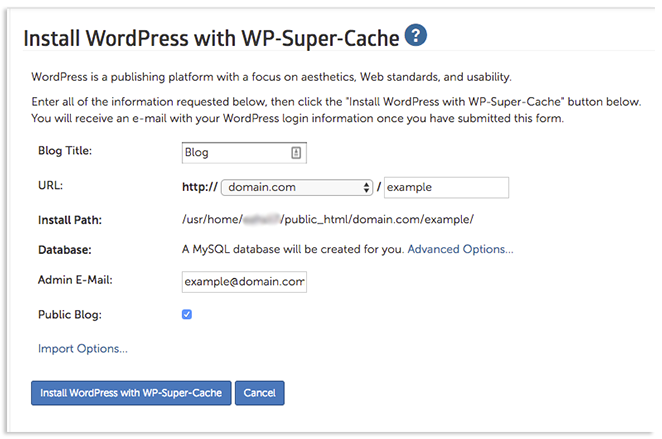 Database: A database will be created for your WordPress installation. If you want to name your database, click Advanced Options and then enter the name in the open box. Admin E-Mail: Enter the email that will be used for admin purposes. Information regarding this installation, such as your WordPress credentials, may be sent to this address. Public Blog: Check this box if the blog is meant to be public. 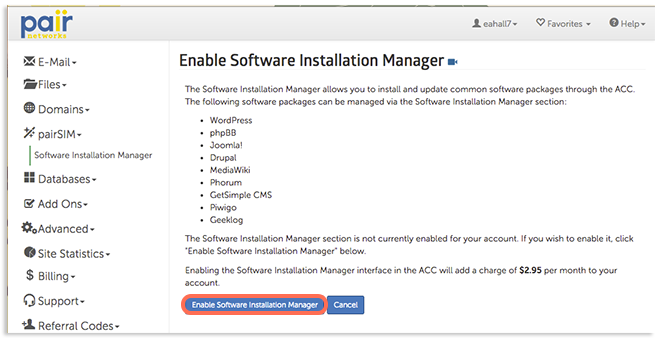 If installed successfully, a page will appear telling you that your WordPress installation was successful and show some information about your installation. When finished, click Return to Software Installation Management. 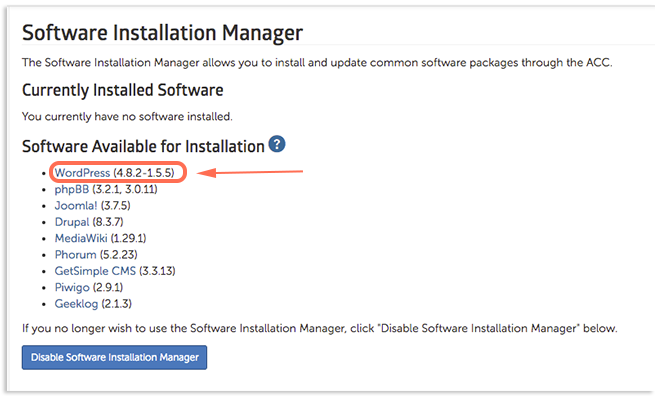 This will return you to the Software Installation Manager interface, which will now show your currently installed software. 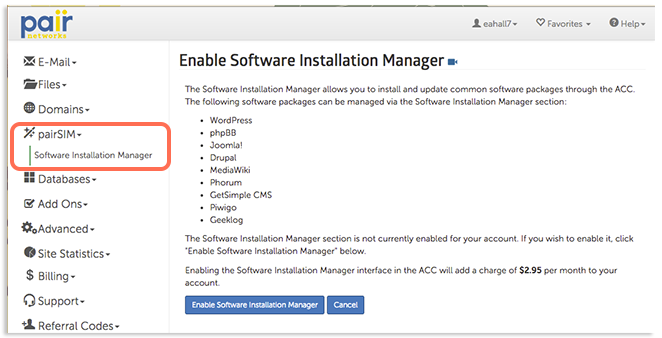 WordPress should now be shown in the Currently Installed Software section. You can also check out the WordPress category in our Knowledge Base for tips and articles to help you get the most out of your WordPress site.